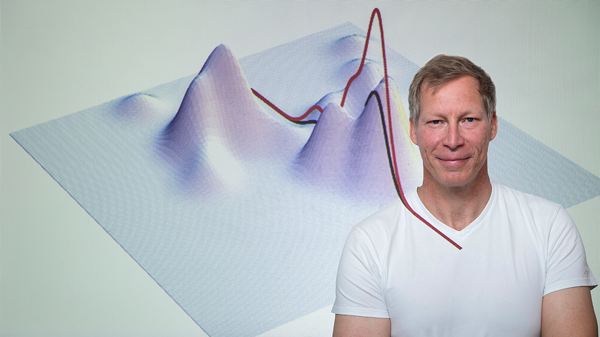 Olaf Wolkenhauer is a Professor for Systems Biology and Bioinformatics at the University of Rostock, Germany. Can you summarise your career path? I wasn’t any good at school and had no idea what to do. As an industrial apprentice, I learned about electro-magnetics and that switch a light on in me. I found errors in two textbooks and I then knew that I want to go to University. So I returned to School and eventually studied systems and control engineering. The focus on mathematical modelling and simulation provided the foundation for my later interest in systems biology approaches. Following my PhD, I directed my research lectureship towards projects in molecular and cell biology. Unfortunately, this was not straightforward, a story that I described in an Open Access essay (IET Systems Biology, Vol 8, Issue 6, Dec 2014). In order to collaborate with experimental groups, I started out with bioinformatics projects. My heart was however with dynamical systems that I saw in cellular functions, like proliferation, apoptosis and cell differentiation. At the time, there were excellent people modelling metabolic networks, which is why I decided to focus on gene regulation and cell signaling during a one-year research fellowship at the TU Delft and for my lectureships at the University of Manchester Institute of Science and Technology in the UK. In 2003, I moved to Germany to set up my current research group at the University of Rostock. Where do your best ideas emerge from? My best ideas emerge from reading and listening to others. My ideas are never right away meaningful but require refinement and development. I am a slow thinker and I have a poor memory for details, which does not make me a good partner for discussions. I nevertheless rely on discussions with others and enjoy the discourse. Who or what had or has had the strongest positive influence on your career and work? My career and work is fuelled by my curiosity, this romantic version of a dreamer, who enjoys pondering about things, finding almost anything interesting because I see relationships between things almost everywhere. I was very lucky to have received the support of senior colleagues, who became friends and advisors. The topics of interest were always my own and my interest in natural phenomena and the biological sciences was there from childhood. However, people, like Peter Wellstead were very supportive, allowing me being me, or better, me becoming me. Allan Muir was the cleverest and most interesting person I have ever met. I miss him a lot. Mike Mesarovic is the greatest inspiration for my interest in systems theory and for everything philosophical, I work hard on my understanding of Arthur Schopenhauer. What do you consider the greatest challenge or hurdle for progress in your field? Inferring the behavior of complex systems from its parts. For example, understanding the physiology of a tissue in the context of a disease in terms of the understanding we gain at the molecular and cellular level. For systems medicine, my hope is that modeling is appreciated for the subtle but important role it plays. I appreciate the practical problems that the clinic faces and I understand that it seems easier to focus on technologies, gear and hardware. Our advances will however heavily rely on smart ideas, methodologies, software, algorithms, models, theory … in decreasing order of appreciation. What are, in your opinion, the opportunities, directions or decisions that are vital to progress systems medicine? To make progress with diseases, we need to rethink our approach to understand such systems. Technological advances will continue to improve our ability to observe in ever greater detail and generate more comprehensive data sets. I am convinced, however, that we also require new ways of thinking and methodologies by which we interpret data. To my disappointment, the way medical data are managed is quite awful and just embarrassing in light of the technologies that are available. I therefore worry that the coming years the emphasis in systems medicine and medical informatics will be on IT issues that are indeed urgent but that in consequence research to develop methodologies that interpret data (including modeling and theory) will be neglected. Tell us what would have to happen in your work for you to say “A dream has come true!”? My dream and goal is to discover a principle of tissue organization. It is easy to describe cellular mechanisms but a law-like principle that generalizes beyond the context given by the particular mechanisms, cell types and technologies is like a grain of gold dust in a mountain of observations. The chances to make such a discovery are therefore slim but I might as well fail at something that I truly enjoy and consider important. If you could not be a scientist, what would you like to be? An artist. As an artist I could also observe and describe the world around me. I like drawings that capture complex things in a reduced or abstract form, for the same reason for which I like mathematical equations. With five or six symbols, say E=mc^2, we can describe how mass and energy relate, in the world. Mathematical modelling is also an art, the art of making appropriate assumptions. I love music and isn’t it amazing that from a few dots and lines on a sheet of paper we create music that can trigger fantastic physiological and psychological responses in us? Abstraction and generalization are key to the sciences and the arts, which is why I can never get bored. What was your greatest experience as a scientist? I have not had a single experience that was ‘great’ but the whole process of becoming a scientist, being allowed to do research, is a wonderful experience. I consider myself very lucky and happy being a scientist. I was a dreamer as a child and as an apprentice in industry my dream was to return to school and go to University. When I reached the end of my University degree, I was desperate not to go back to industry and my dream was to become a scientist. Now, with an established research group around me, I enjoy working in a team and providing others with those opportunities I longed after when I was younger. With which historical person, politician or celebrity would you like to have a dinner and discuss your work? Hmmh, not sure. I worry that those scientists and philosopher that I admire, are not personalities I like to spend time with over dinner. I would be happy to make dinner for someone prepared to make a substantial commitment for systems medicine, supporting research that helps us making sense of data and to provide meaning to models in the medical sciences. Would you be happy to share something about your private life and activities in your spare time? I am a keen, if not addicted kitesurfer. With surfing, you focus on the moment, you forget about the past and what will be; you experience the here and now and that makes you feel alive and free. Being out there on the water, experiencing nature, teaches you humility while you learn to push your boundaries. You can spend years to be able to enjoy the right moment and this teaches you to already enjoy the process, not just what comes out of it. Listening to music also allows me to live the moment, and when there is no wind, I enjoy DJing and I produce electronic music. Music is full of pattern to be discovered and it is a wonderful way to make yourself and others happy.